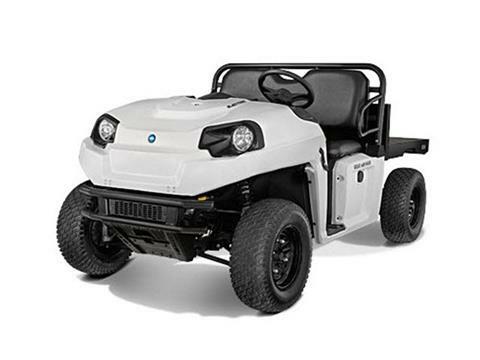 The eM™1400 is the ultimate work vehicle. With the low cost of operation and quiet smooth ride you can only get from an electric vehicle, the GEM® eM1400 is perfect for hauling cargo across your property, the jobsite or inside the warehouse. Enjoy the rugged and durable ergonomic design while tackling your jobs. 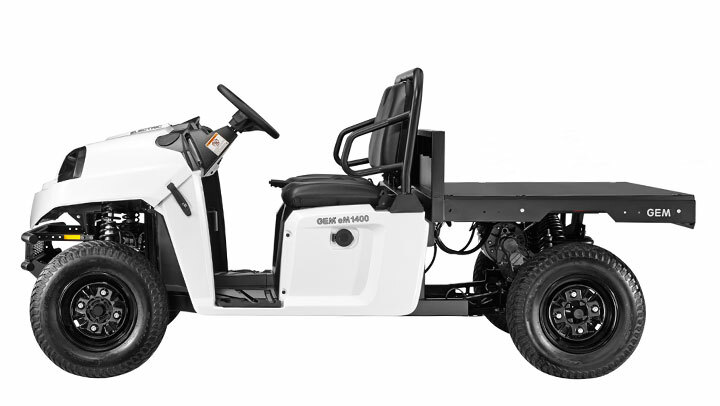 STEEL FLATBED WITH OPTIONAL REMOVABLE SIDES: The 51 x 42" steel flatbed will haul up to 1100 lb. of cargo. Manual or electric box lift option makes unloading easy. 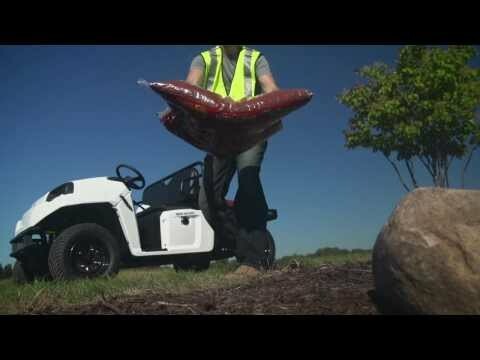 HAUL BIG WITH ELECTRIC POWER: 1400 lb. payload; 1,100 lb. box capacity; 1250 lb. towing.